A student transfer form is mainly used by students if they are transferring from one school to another. For instance, if a student is transferring to another school, then he or she will have to apply for the transfer. Apart from that, there are several formalities to be taken care of. To do all of that, you would need Transfer Forms. Here, you have a vast collection of the best student transfer form templates online. Before a student is transferred from one school to another, it is important to apply for a transfer or request for it. In order to do that, you can take the help of the student transfer form here. When a student is applying for transfer at his or her school, then there is an elaborate verification process that follows. To make sure that everything goes off seamlessly, this form may be used. This is a simpler version of a school transfer form. 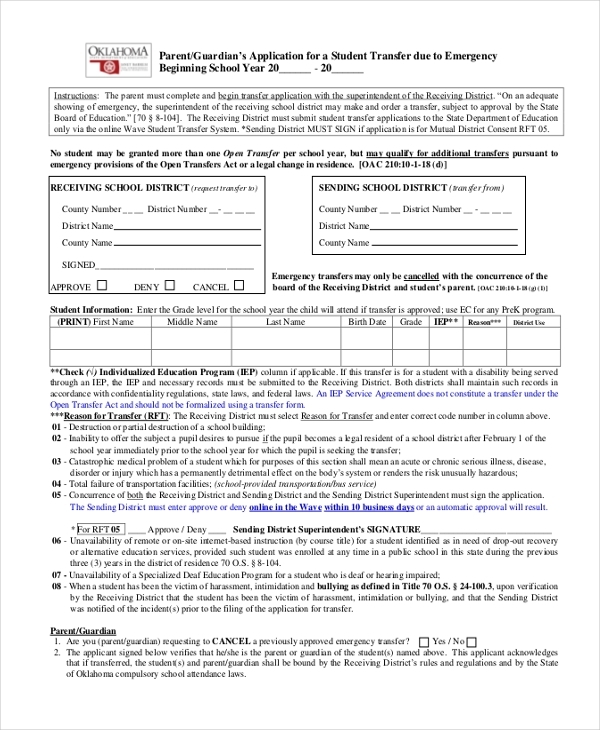 This template may be used by a student or the parents to apply for transfer at the school in question. While dealing with financial matters, it is always advisable to go for documents that are official and formal in nature like the template here. Also, it comes in a pdf format. International students are often transferred as part of exchange programs. Whatever the case may be, the students are required to fill in such a student transfer form and submit it. 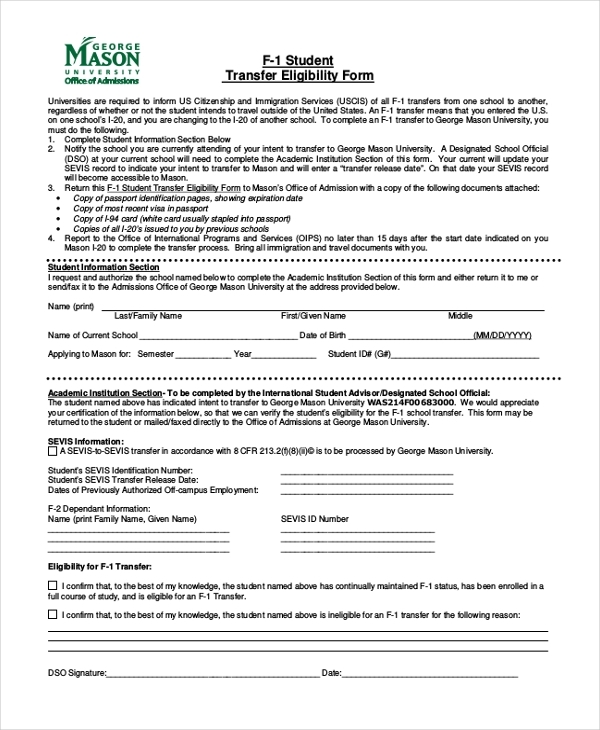 This student transfer form may be used to verify the eligibility of the student when it comes to transfers. 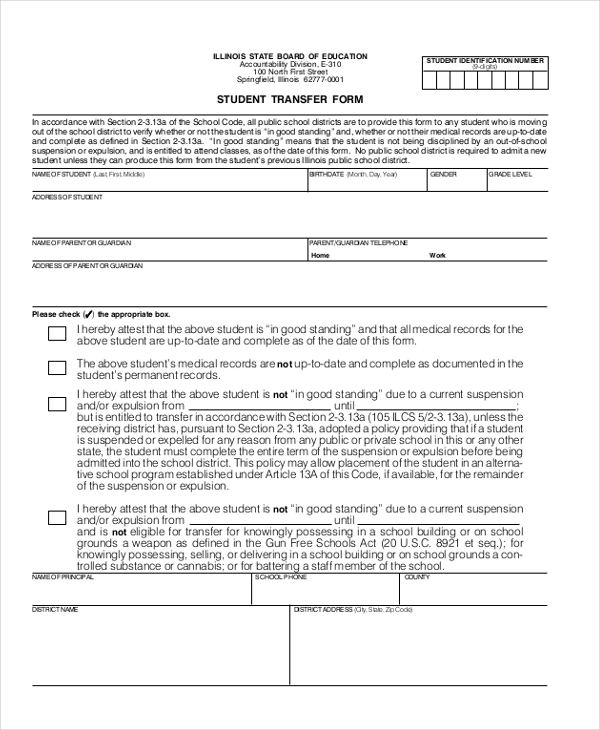 Based on the form, the student’s transfer may or may not be granted. Transfers are not only between two schools; they may take place between two departments of the same school. In such a case, this form template may be used by the student. 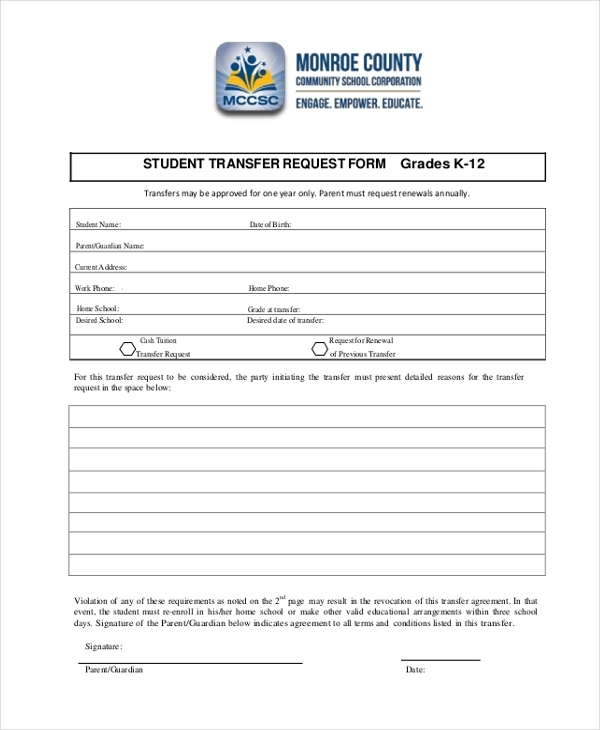 This student transfer form can be used by parents who are transferring their kids from school on short notice. It comes in a neat layout and in a pdf format which is set for printing. 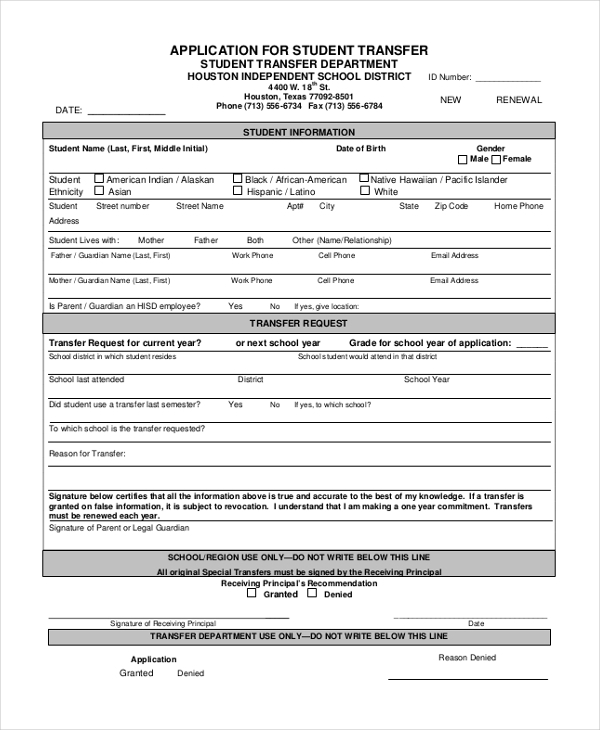 This student transfer form is directed at students coming in from other districts. The first thing you notice about the template is its minimalistic layout and the neat well-organised structure. 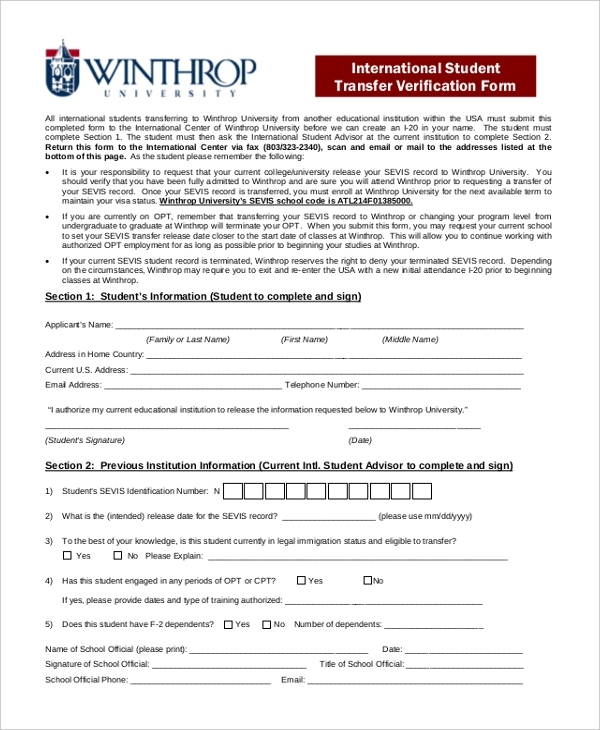 Who Can Use these Student Transfer Forms? The student transfer forms are mainly used by students, as the very name suggests. Any student who is applying for a transfer from one school to another would be able to make use of these templates. These student transfer form templates may even be used by parents to communicate with the school authorities. The student transfer forms are official documents which are of great importance to schools and other such educational institutions. These institutions can process the application for transfer only when such a form has been filled and submitted. This is where these student application form templates come in handy. You may also see Gun Transfer Forms. 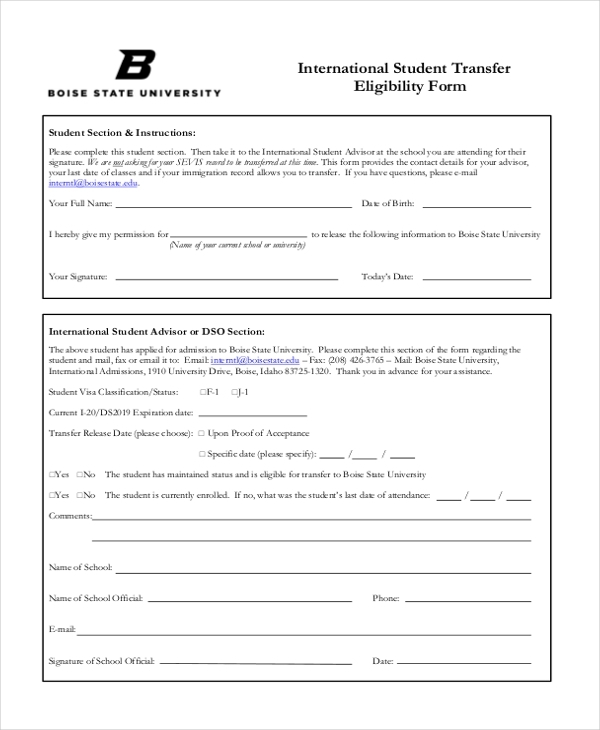 How Can You Use these Student Transfer Forms? As the very title suggests, the student transfer forms are very specific in nature and may be used in certain situations only. For instance, the student transfer forms may be used if a student is being transferred from one school to another on short notice. They may even be used as an application for transfer. Now these forms usually have a fixed standard format, which has already been presented to you in the templates. 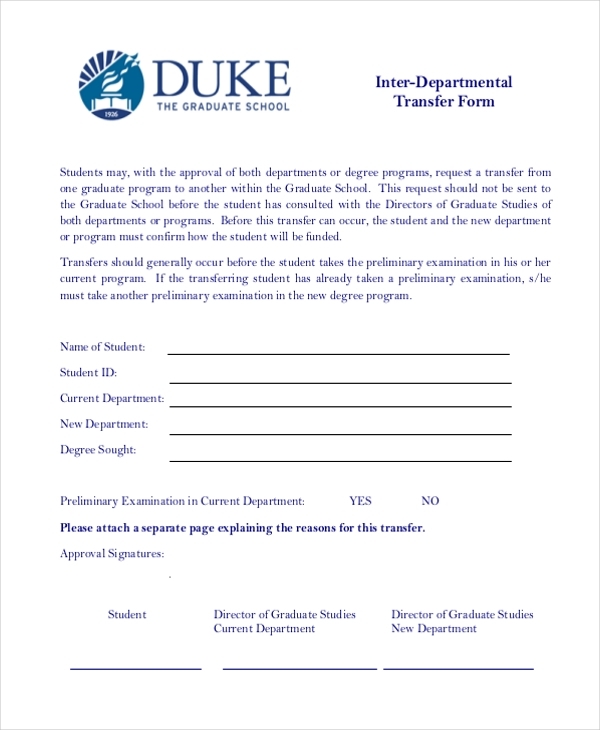 These student transfer form templates would function as excellent samples of what such forms or documents should look like. Plus, the form templates that you see here are very easy to use. You can also see Stock Transfer Forms. These student transfer forms come in the form of neat, organized and well-designed documents. That makes them professional and gives them a corporate look. The layout of the templates must be appreciated. 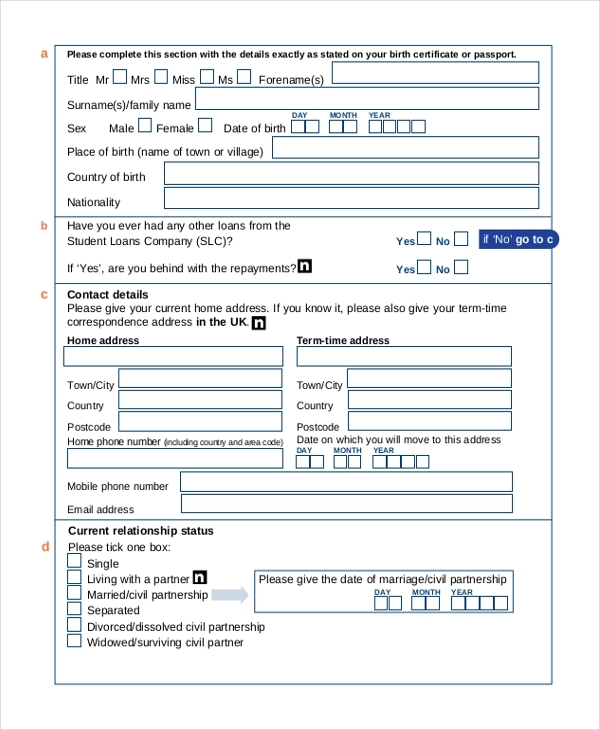 In case you have to draw up a transfer application form in a short period of time, these templates are your best shot. It would reduce your workload and would also make sure your form is flawless. Plus, the form templates are really easy to use. Most of the student transfer forms that you see in this section come in either pdf format or word format. Whatever the case may be, you are already familiar with both formats and shouldn’t have a hard time using them. Also, the templates here come in a variety of forms, each serving a different purpose.